Crave-able Peanut Butter Cream Cheese Pound Cake. 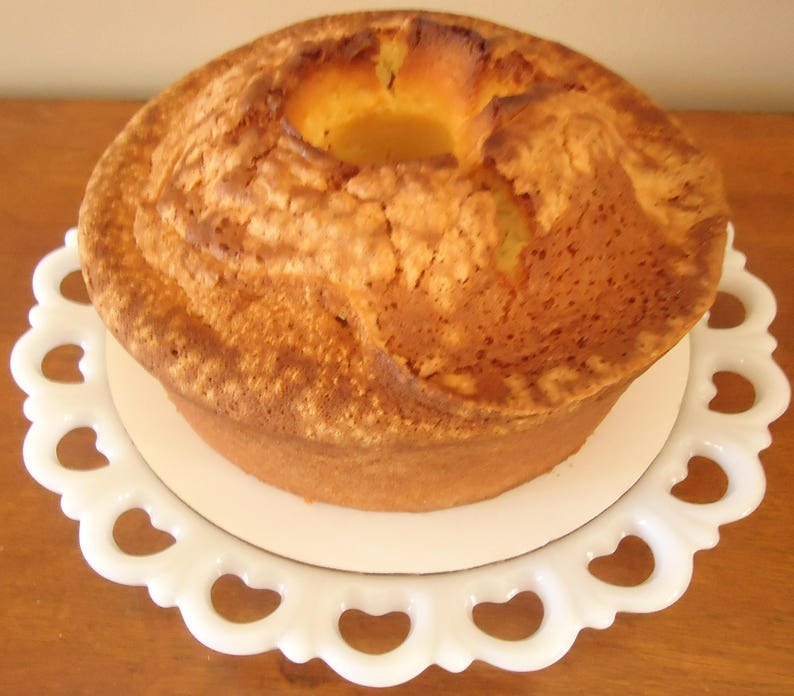 Nana's is well know for her delicious moist homemade pound cakes.These tender moist pound cakes are made from scratch and truly melt in your mouth. Made with real butter, farm fresh eggs, and a recipe handed down though the generations. Brew a pot of coffee, sit, relax and enjoy this taste sensation. Life will be divine. The perfect gift for a senior friend, sympathy treat, thank you for a corporate office, church gathering or to enjoy for your own family. You will receive a full size Peanut Butter Cream Cheese pound cake approximately 10 inches which makes 16-18 average slices. Presented in a reusable cake plate. Also available in a variety of flavors and each high on the craveablity scale. Flavors include Original Plain, Coconut, Lemon, sour cream, cream cheese and Chocolate. This makes a perfect gift to evoke childhood memories, or create new ones. We would love to include a message to the recipient just leave it in notes at check out. Here's just a few words from the best customers in the world. *These were heavenly - tasted great and made with a whole lotta love! :) Will definitely be purchasing again! *The customer service for this business is outstanding and so are their pastries!! Thank you for shopping Nana's , we enjoy serving you. Follow us on facebook. facebook.com/nanasgourmetgoodies Just like us if you haven't already, then apply code facebooklike at check out. On time, absolutely delicious. Thank you so much , would definitely recommend.